Why is there so much hopeless despair in modern horror? Part of the answer can be found in H.P. Lovecraft's writings and his concept of "cosmic horror." He explains his view of the end of the world: "The human race will disappear. Other races of beings will appear and disappear in turn. The sky will become icy and void, pierced by the feeble light of half-dead stars. Everything will disappear. And what human beings do is just as free of sense as the free motion of elementary particles. Good, evil, morality, feelings? Pure 'Victorian fictions.' Only egotism exists." Lovecraft injected this worldview into all of his stories. Lovecraft fans discuss the "Cthulhu mythos," based on one of his short stories, The Call of Cthulhu. A malevolent entity, Cthulhu becomes a stand-in for all the monsters or aliens of the Lovecraft universe. 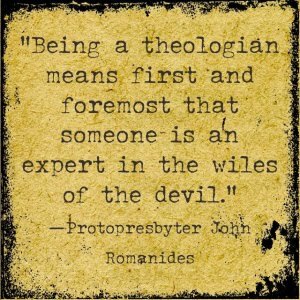 He drives home his committed atheist worldview through his "old ones"—alien "gods" from other worlds who either do not care about ours or actively seek our destruction. Cosmic horror is what happens when the characters in Lovecraft's stories face this reality and react in utter despair at the futility of doing anything about it. Lovecraft falls into a deeper current of attempting to find meaning through horror. Some modern horror makers at least take it to the next level by asking deeper questions about how human beings find hope, but they fail because there is no way around Lovecraftian despair while playing under Lovecraft's rules. A different playbook is needed, one written by Arthur Machen. Most modern horror filmmakers have long forgotten Machen, an under-appreciated legend. Lovecraft himself wrote, "Machen is a titan—perhaps the greatest living writer of the horror tale—and I must read everything of his." 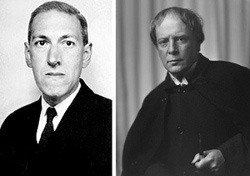 Scholars acknowledge Lovecraft's heavy borrowing and recasting of Machen's literary themes. While Lovecraft was an atheist, Machen fully embraced the doctrines of his Anglican faith. His horror contained the mystery of abandoned places, forgotten gods, and utter terror at the unknown, but also the possibility for humans to find hope beyond despair. Unlike Lovecraft, Machen pushed toward a more holy terror, a sacred fear that could prompt a person to kneel before God. Machen felt despair could be avoided by seeing the good God who ruled over the world "behind the veil." A person could experience holy terror like the prophet Isaiah felt when he stood before the throne of God—or, to bring it back to movies, like Indiana Jones showed in Raiders of the Lost Ark (telling Marion to respect the ark's power by not looking at it when it was opened) and The Last Crusade (when, to reach the Holy Grail, he had to navigate a treacherous maze requiring him to kneel, to spell God's holy name, and then take a literal "leap of faith"). Machen uses sacred terror to not only scare us, but to push us deeper to think about "unseen realities." Through this sacred terror, he created stories richer and more terrifying than anything Lovecraft could conceive. As C.S. Lewis wrote in Mere Christianity, "Some people talk as if meeting the gaze of absolute goodness would be fun. They need to think again." Most modern horror filmmakers avoid Machen's worldview; they may not like Lovecraft's cosmic horror of despair, but to confront Machen's hope-filled holy terror may prove too much for the imagination. Such reluctance can be seen in the film adaptations of Stephen King's novels. King's work is an interesting mix of "cosmic horror" and "holy terror." The tensions between the two are what make his work so rich—but it gives modern horror directors fits, and they often miss the point. Stanley Kubrick's wrestling with adapting The Shining illustrates the point. In Kubrick's version, the father (Jack Nicholson) is turned into a psycho killer driven to ultimate despair by the demons of the hotel. Kubrick, to no one's surprise, chose Lovecraftian despair, but the book's ending is far more Machen-esque. The father almost falls to evil, but he ends up sacrificing his life for his son, who is wanted by the hotel demons. King hated Kubrick's interpretation, and he wrote his own TV miniseries to correct the errors. The tension between holy terror and cosmic horror comes to a head in Signs, the 2002 film by M. Night Shyamalan. In the movie, a priest, played by Mel Gibson, has lost his faith. He and his brother watch TV news reports as strange lights appear in the sky. The veil has been lifted from everyone's eyes. Gibson's character says there are two groups of people—those who believe in miracles and those who believe there's no one there to help them. As we find out later, Shyamalan reveals his own point of view—and it's Machen's. Hope lies beyond the terror and beyond the veil.